When it comes to hosting any event, you want everything to go as smooth as possible. In order for this to happen, you need to make sure you have everything in order. For successful hosting, I’ve come up with a few main tips to keep in mind before the event, during, and even after. When thinking of etiquette, everything must be precise. This comes with steady planning. Start off by thinking of the guest list. Making sure that you invite the right type of people will help guarantee a better party experience for not only you but all your guests as well. You should also think of a timeline for all the activities going on in your event to keep everything clear and in order. As far as decorating and arrangements go, keep in mind the vision of what you want your party to look like. If you choose a certain theme, make sure all the decorations, food, refreshments, and activities are in line with one another. And remember, the more extravagant, the better. Your party invitations should be as extravagant as they need to be in order to leave a certain feeling with your guests. The invitation should fit with the theme of the party of course, and should also include every necessary piece of information about your event that your guests need to know about – especially the dress code. As far as the other information goes, make sure to include the occasion, the host or hosts of the event, the date, time, and as well as how to accept or decline the invitation. Getting everything ready before the party can be one of the most stressful parts about being a host. 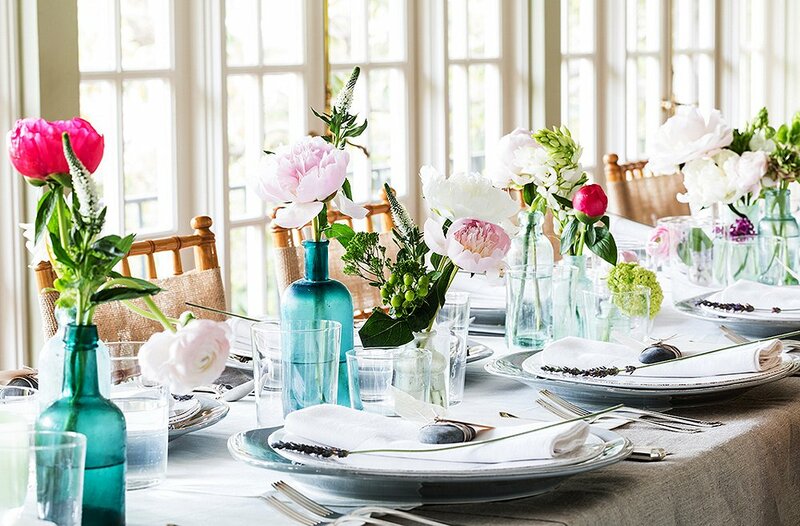 You must give yourself enough time to clean the area where your party is going to be, get your meals prepared or set up correctly, set your tables in the proper order, and organize your activities all before your guests arrive. Giving yourself extra time is important so that you have some breathing time in case anything goes wrong while setting up. Like any event it's always good to celebrate and be merry especially around the holidays. While some people may enjoy wine, cocktails, or even beer. One drink that is always a crowd please is a good Prosecco. Tommasi’s Filodora Prosecco makes for a foolproof wine cabinet staple, boasting an elegant taste profile and airy effervescence. Tommasi Filodora’s food-friendly, crisp and fruity notes and reasonable price ($18) make it a fantastic bottle to pair with light bites at a dinner party or an after-dinner dessert toast. When guests finally start to arrive and the party gets going, make sure to greet everyone with a warm smile and let them know where everything is located. It is also important to move around the room talking to everyone and even introducing people who have never met before. Do not stay in one place the whole party and always ask the guests if they need anything. After the event is over, make sure to thank every guest for coming when saying your goodbyes. Make sure to keep a list of all those who came so you can send some handwritten thank you notes.